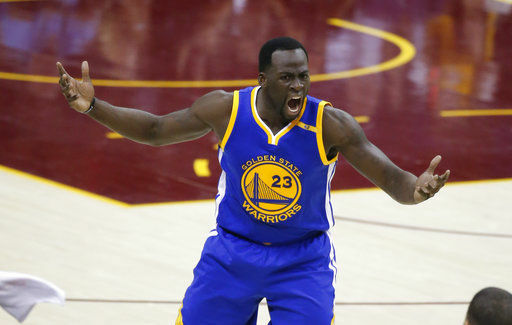 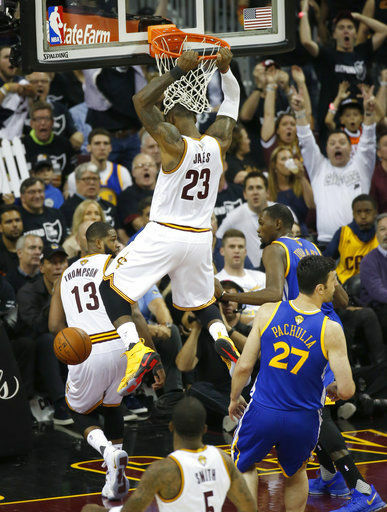 CLEVELAND (AP) — The Cavaliers stopped Golden State from celebrating and maybe started another comeback. 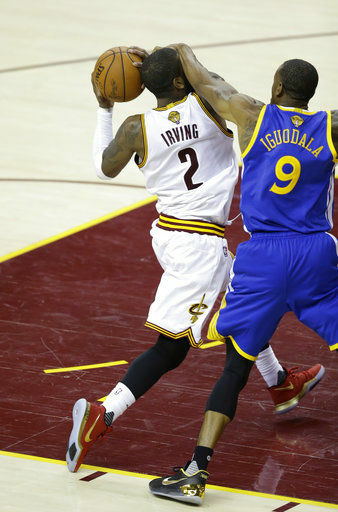 LeBron James recorded a triple-double, Kyrie Irving scored 40 points and Cleveland outperformed the NBA’s most electrifying offense in a testy Game 4 filled with technical fouls on Friday night, beating the Warriors 137-116 and ending their perfect postseason. 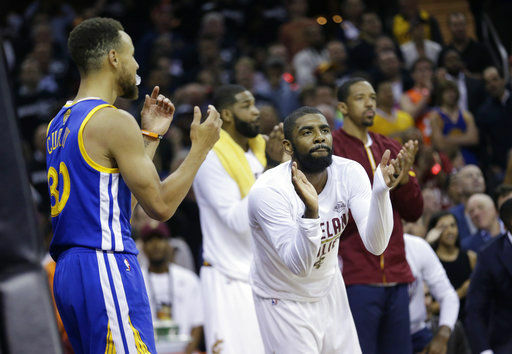 The Cavs set scoring records in the first half and then held on during a wild third and fourth quarter that included technical fouls, James jawing with fellow superstar Kevin Durant and Cleveland’s crowd roaring like a jet engine. 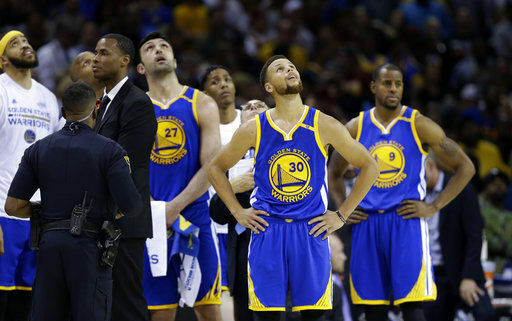 But until the Cavs did it last year, no team had ever rallied from a 3-1 deficit to win the Finals. 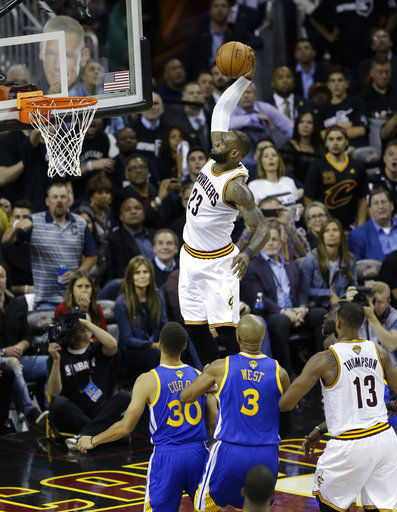 Cleveland took Game 3 at home, lost Game 4 and then won the final three games — Game 7 in Oakland — to capture the city’s first sports championship since 1964. 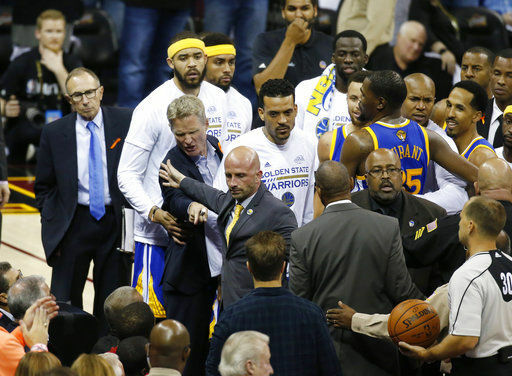 The Warriors won their first 15 playoff games, the longest postseason streak in North American sport history, but 48 minutes from a party they’ve been planning for a year has been put on hold.